We have another selection of holiday cottages from that giant of self-catering holiday cottage providers, "Cottages 4 You". The cottages shown below were all first featured by us in the week of 15th November 2013. There are a good bunch of holiday cottages to choose from, and you can see all the new cottages from Cottages 4 You below. The cottages can be found in various counties around the UK, with Devon, Isle of Wight, Mayo, Shropshire, Nottinghamshire, Dyfed, Wiltshire, Ross-Shire, Cumbria, Cornwall, Norfolk, Isle Of Skye, North Yorkshire, Sutherland all getting a mention. As always at this juncture, I like to pick a few cottages for an extra special mention. This week there are three cottages to talk about: "Criftin Farmhouse", "Monkey Puzzle Cottage" and "Keepers Cottage". Criftin Farmhouse in Wentnor, near Bishops Castle in Shropshire. Sleeping 8 people, Criftin Farmhouse enjoys a rural setting, and is close to the Welsh border. Monkey Puzzle Cottage in Holsworthy near Bude sleeps 9 people. 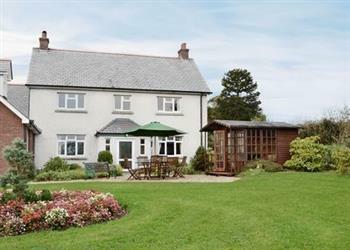 Set in the Devon countryside, with the coast being 10 miles away. The last cottage to mention is Keepers Cottage in Rogart, which is in the north east of Scotland. 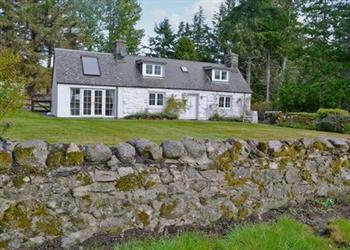 Keepers Cottage sleeps 4 people, and is perfect for exploring the highlands.